Despite how far you go with something you must always revisit the basics, to reinforce your foundation. With the mesa it is no different. So, let’s explore the core elements of what the mesa is and why we use it. The word mesa is a Spanish term, which literally means “table.” It denotes the typically flat surface area in which a mesa is generally used. That the mesa is a table can also symbolize the table in which a family gathers to feast, just as we gather to feast upon the fruits of our communion with Spirit. The mesa geographically originates in the Latin Americas, most specifically Peru. There are many styles and variations depending on both the region and the individual user. Like most shamanic lineages, this makes pinpointing a distinct and categorical tradition of the mesa sometimes challenging. In essence, there is no one way or tradition of the mesa that is the way; however, there are some basic “denominations” of traditions that the mesa can be classified into, especially in terms of the lineage of the Pachakuti Mesa Tradition. The curanderos (curers/shaman) of the Northern coastal region of Peru are shamanic folk-healers with roots dating back to the ancient Chavín culture, approximately 900 BCE. The layout of a curandero’s mesa in the Northern coastal traditions usually consist of a manta cloth laid on the ground (or sometimes a table) with an assemblage of sacred artifacts (called artes) arranged on top of it. 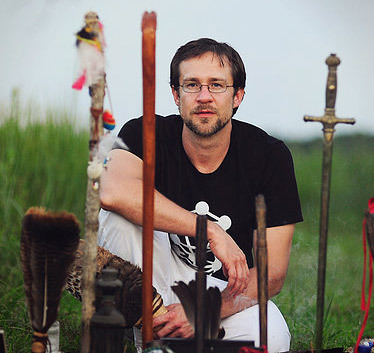 These artes act as tools for the curandero’s use to conduct healing on others, assist in divination, and commune with the unseen world of Spirit. 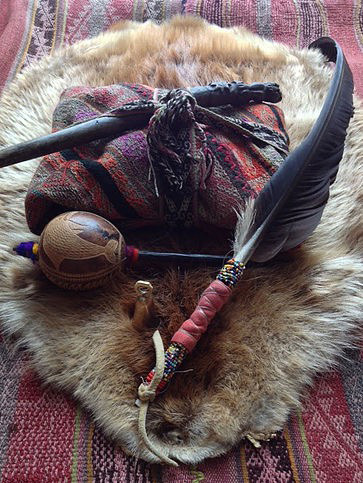 The assemblage of these objects is very personal in accordance with a curandero’s own spiritual guidance and training. Left: called the campo ganadero, works with dispatching and releasing dense energies. Middle: called the campo medio, works with balance and integration. Right: called the campo justicerio, works with raising energy and bringing good fortune. The paqokuna are a class of shamanic healer-priests of the Quechua peoples that live in the highlands of the Andes Mountains in Peru. The Quechua are the direct descendants of the Incas (1400 CE) and have maintained as much of their heritage as possible through centuries of colonialism. Unlike the open mesa of the Northern coastal curanderos, the Quechua paqokuna (also called paqos) operate their rites with the mesa as a closed bundle. Most paqos very rarely open their mesas, if at all. The bundle is full of sacred artifacts similar to the curandero’s mesa, though they generally refer to these healing objects as khuyas. The bundled nature of the paqo’s mesa is very fitting to the cultural framework of the Quechua. The Quechua are farmers and lama herders; they spend much of their time working in the soil and hiking the treacherous landscape of the Andean highlands. So, a paqokuna mesa needs to be resilient and able to travel. Therefore, a bundled mesa is natural solution that works well for the agricultural society of the Quechua. 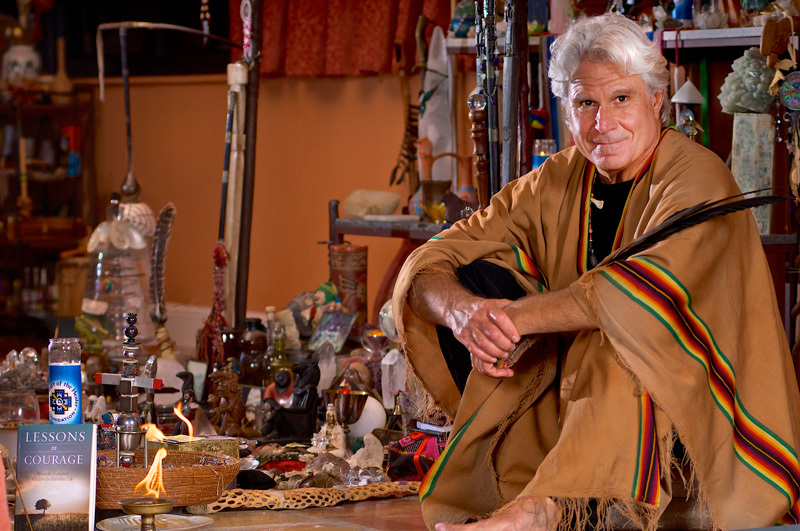 Trained in both the Northern coastal curanderismo and Andean paqokuna traditions, don Oscar Miro-Quesada was tasked by his teachers to bring the medicine of the mesa to the Western world in the hopes steering humanity’s course away from destruction and toward a more meaningful relationship with the natural order. don Oscar understood the task before to be a difficult one, as the concepts of indigenous shamanism often do not translate well to modern convention. Inspired by the Eastern concept of the mandala, and seeing its correlations with the mesa as it was taught to him, don Oscar developed a new understanding and usage of the mesa called the Pachakuti Mesa Tradition (PMT). Pachakuti is a Quechua term which means “transformation,” or more literally “turning over the earth.” It is the name given to the tilling process the Quechua use before planting their crops. Likewise, it is the name given to the alchemical process which one undergoes during apprenticeship into the PMT. The Pachakuti Mesa is designed to enact transformation, on both a personal and planetary scale. South: called Pachamama (Mother Earth), which honors the element of earth. West: called Mama Killa (Grandmother Moon), which honors the elements of water. North: called Wiracocha (Great Spirit), which honors the element of air. East: called Inti (Father Sun), which honors the element of fire. Center: called K’uychi (Rainbow), which honors the element of aether. This framework, fostered through the meticulously designed Pachakuti Mesa Tradition Apprenticeship Series, assists the practitioner in garnering a rapport with the natural forces of the unseen realms. This is an essential component to any sort of shamanic path: building a relationship with the spiritual forces of the universe. This marriage of soul should result in stewardship for our planet and all living creatures. don Oscar Miro-Quesada in front of his mesa. 1. Magee, Matthew. Peruvian Shamanism: The Pachakuti Mesa, p. xvi. 2. Heaven, Ross. The Hummingbird’s Journey to God: Perspectives on San Pedro, the Cactus of Vision, p. 57. 3. Williams, J.E. The Andean Codex: Adventures and Initiations Among the Peruvian Shamans, p.47. 4. Glass-Coffin, Bonnie & don Oscar Miro-Quesada. Lessons in Courage: Peruvian Shamanic Wisdom for Everyday Life, p.116.